There are many reasons why parents decide to home school. 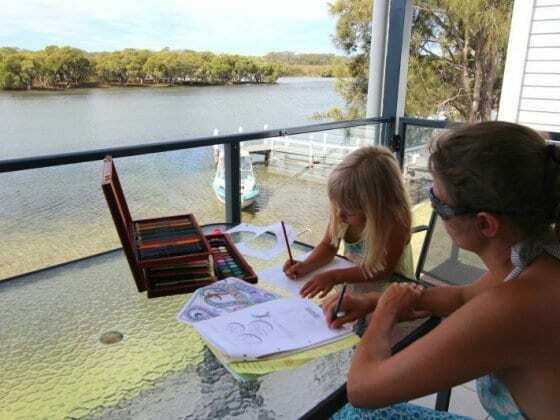 Perhaps they live in the outback far from the nearest school, maybe there are philosophical or religious reasons, or perhaps parents want to travel, like Caz and Craig are doing, and as we did due to an international job relocation. Did the children miss out because of homeschooling? What other benefits are there to homeschooling? Would I do homeschooling over again? 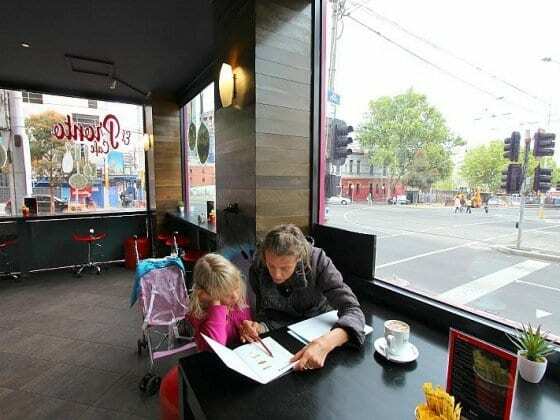 It is possible to take your children out of school because although education is compulsory for children between the ages of 6 and 16 in Australia, school actually isn’t. I found this out when we moved to Hong Kong from Lesotho in Africa and we couldn’t get our children into the school on Lantau Island because it was full. To tell you the truth I was horrified. I hadn’t planned on teaching my lovely, wild kids myself. I was petrified by the thought of it, but we’d misguidedly signed a two year lease on our apartment prior to looking at schools. Which was a dumb move, and one we couldn’t get out of. Yes, there were other schools with available places, the Estate Agent told me with a smile. In Kowloon. About one and a half hours away. Bus, ferry, walk, ferry, bus. Twice a day. This was a crazy alternative for my littlies who were then only 3 and 6. It means that parents take responsibility to guide their children through a course of study at home. Parents don’t need any special training or university degrees, and people who choose to home school are likely to come from a variety of different backgrounds and educational levels. Many have no special training and they’ll most likely be doing it for many different reasons. So until we could get Sam into primary school I taught him myself, and Emma came along for the ride and joined in at pre-school level. At the time I found an English system called Education Otherwise really helpful and also two other mothers who were home schooling. It’s a big decision to take responsibility for your child’s education so you need to have a life size interest in helping your children to learn because you’ll very likely find yourself having to learn with them. And not just the curriculum. My personal skills took a huge leap; skills like patience, flexibility, understanding and being able to retain a sense of humour even in the most emotionally charged situations. My children were absolutely gorgeous and I loved them to bits, but I could have throttled them on numerous occasions when I was not only Mum, but Teacher too. It’s sometimes a hard call because you’re never truly off teacher roster. I can remember once when we were on holiday in Thailand being frazzled from the total immersion in my kids and their schooling, so I took a child free break by the pool with a book (a thick one, as I remember!) and my husband took over child duty. Dave didn’t let me live that one down for months. When I eventually find that woman, I think I’ll throttle her too. As far as I know there is no financial assistance for home schoolers. But you do have a choice as to how much you are prepared to spend. There are tailored home school correspondence courses that set out the structure of your day to day teaching and provide all the required course materials and put you in touch with a personal tutor who oversees all the completed course material. There’s greater flexibility than at school, and so sticking to a rigid curriculum becomes unnecessary provided that the course work is covered. And what I enjoyed was being able to take an afternoon off for a little cross-curricular diversity when certain projects proved stimulating – so going to a local place of interest when you’re travelling becomes possible at any time of the year, not just school holidays. We used to love going to Ocean Park in Hong Kong, and to the outdoor markets in The Lanes not to mention stopping off at local restaurants for the freshest of fresh Chinese stir fries. Both my kids learnt quickly to use chopsticks. I found that sticking to a time table was imperative so that home school became a habit rather than an interference. Learning together ought to be enjoyable, not a slog to be performed each day, so we tried to mix things up a bit, and doing this gave me the rein to enjoy the process of being with my children 24/7. At first I was bewildered and unsure about the consequences and practicalities of home schooling because it was something that I hadn’t anticipated. It was the biggest commitment of my life, but I soon found out that we could turn most days into magical treasure hunts – hunts for information and discovery. We made one day each week into our ‘Adventure Day’ which very often led on to a project for consecutive school mornings offering scope for discussion and creativity. 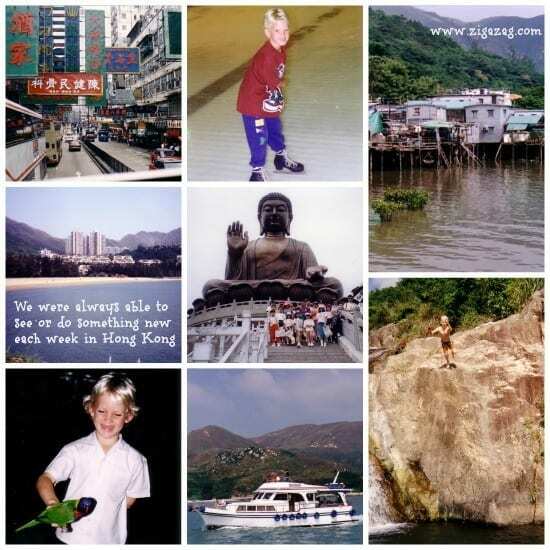 Living on Lantau Island meant that we were constantly travelling on ferries to Hong Kong Island, and these times were always turned into our ‘reading time’ rather than ‘when will we get there’ moments. Paying for buses, taxis or shopping became practicals in maths. We took photos as part of art class, as well as visiting art galleries. Science, far from being purely book based became an excuse for a trip to a museum or an exhibition. Physical education was as diverse as the children dictated because we made time for swimming and ball games as well as visiting different parks to make full use of the play equipment. The world did indeed become our oyster. People often asked me if our children missed out on socializing. Admittedly, I had to make more of an effort to network and put the children in situations where they would meet other children, but I also made sure that they were involved in extra mural activities such as art, paper clay, cricket, cubs, swimming and dancing. This meant that they were never short of an opportunity to interact with their peers and they had friends to invite home to play. Although they were eager to be with other children, they were in a position to make friendships of choice, so bullying and peer pressure were not worries. Home schooled children often spend more time in the real world mixing with both young and old of different cultures in a lot of different life situations so it’s quite likely that they will develop a strong self confidence. They are able to base their friendships on respect rather than fear of rejection, which can happen in a school environment. And because they have an adult role model whom they trust, home schooled children can develop inter personal skills quite quickly. If home schooling is successful, then their levels of motivation can be higher compared to children in large school classes. Often they become more focused on their goals and more mature in their attitude to learning too. Although I enjoyed teaching my children, I found home schooling very tiring and quite challenging. It especially gave me a great respect for teachers. It gave me the chance to form close bonds with my children, bonds that are evident today even though they are grown up, and it gave me great insight into what drives them and how they ‘tick’. Ultimately, I felt that others more qualified should be in charge of their education as they got older, although home schooling taught me to keep a very close eye on what was happening at school, and to always follow through with homework and school projects at home. It taught me to often ask questions at parent teacher interviews, and always to be there for my children in a supportive way, through thick and thin – although this could at times mean not agreeing with them or their behavior. Overall I feel blessed to have had the opportunity to spend so much time with them when they were little and to watch them develop and grow. You do have to register your children for home schooling in Australia if you are opting out of the traditional school system. Here’s a link to the NSW information package and registration details. There is also some good information at The Home Education Association. I am just thinking if we should consider there is an optimum period of the child’s life for homeschooling, after which we should definitely put her in school to be ready for College and adult life. What would you say? Cheers! Definitely not an expert on this, so I’d say seek professional help with someone in the education field who knows you and your child, William. Home schooling is a new idea, and I would say a pretty bold one! You should be sure about what you want. I mean, I don’t think it’s practical for many, but if you can achieve it then there’s nothing like it. I appreciate your tips. Thanks Renuka, yes it’s not for everyone and you need to be committed. Hmmm…. it would have been nice if you had mentioned that many, many families choose to homeschool because we see it as a better educational choice. I am one of those parents. I am not religious, I have no agenda, I just want my kids to have a broad and well rounded education. I was homeschooling for over 2 years before we decided to travel full time. I saw the limitations of the school system and the narrow, blinkered government curriculum and decided it wasn’t for us. Many of my friends are teachers, and choose to homeschool their own children. I appreciate your efforts here, but I find this post slightly offensive. Which I believe was the intention. Hmmm Alyson, there was certainly no intention to be offensive, and I apologise if in being honest about my own experiences I came across like that. I have had many friends who, like you, home schooled for long periods, for many reasons, not just considerations connected with travel, and I have been in awe of them as they’ve continued with commitment along that path. As I mentioned, long term home schooling wasn’t for me. I’ve popped over to your site and you are obviously an experienced home schooler and I applaud you for that. It would be great to hear more about how home schooling has panned out for you. Alyson, this is a travel blog. Jo is talking from a travel perspective and living internationally due to job relocation, which is why she hasn’t commented on other reasons for homeschooling, which she said are MANY in the very first line. I don’t understand you offensive comment?! Mainstream school ruined my academic & social years, ESPECIALLY in high school! The best thing to happen in MY academic life was adult college which led into University, far better than my previous (Highly ranked by the way!!) high school ever could have. They treated me like a HUMAN, not just a statistic of ‘how awesome our students rank in standardised tests’! My son is very much the same. Mainstream has been an utter nightmare & we’ve tried a few! He needed therapy to recover, and not just a little!! SOME children do okay, some great, but most, just mediocre in mainstream education facilities. Individuality is NOT encouraged for real in schools (Even though they tell you otherwise). The fact is, it’s more so that most parents just don’t want to educate their children, or don’t know they can. We get way more covered by educating at home, and much more ‘real life learning’ done than if he were in a classroom for 6-8hrs a day, and you know what? We are all HAPPIER and HEALTHIER because we home Educate. Good on those parents who Home Ed because they WANT to, FOR their children, not just so their parents can travel and drag their kids along too. As Jo said in the very first line: “There are many reasons why parents decide to home school”. This is not a WANT vs HAVE to article! For us, we are not technically homeschooling, it’s called distance education because we don’t have a fixed address (the rule in Australia) and we are NOT dragging our kids along. Our business is in travel so choosing long term travel at this time benefits our business (which benefits our family), our kids have previously traveled extensively knowing the benefits travel has on education and development, and Caz was previously an elementary school teacher for 15 years in 5 different countries, so believe me we know the PROS & CONS of many systems. And if you read it properly, Jo’s situation was based around international job relocation and the local schools being full. No one is intentionally offending anyone’s choices here! I think many parents don’t want to educate their children at home, Crinny not just because they don’t know that they can or ‘don’t want to’ but also perhaps they feel that they don’t have the patience, understanding or life skills to spend long hours with their own children as educators on top of trying their best to be good parents. As Craig says though, in their case, he and Caz are distance educating due to the demands of their business which puts a very different emphasis on their schooling needs. That Caz is in her own right an experienced teacher is a huge plus, and from what I know, I believe that the Makepeace children will benefit not only from the one on one with Caz and Craig, but also from their year(or however long) of travel which is sure to be an education in itself. I’ve lived in 11 different countries due to my husband’s work situation and many people have, I’m sure, looked at us and thought we’ve dragged our children around the world so that we can travel. Not So. We have traveled the world to follow the work – if we had stayed in one place my husband wouldn’t have had a work career which in turn has afforded our family with many pluses, along with many challenges to learn more about life. During my time overseas, I’ve seen what I believe are good schools, bad schools, great teachers and teachers who I haven’t had much time for – I’ve also seen good home educators, and people home schooling who didn’t look as if they should be home schooling at all. I am hugely proud of my now grown up children, who have survived and also benefited from a plethora of different school situations (including a period of home schooling) in which they’ve learnt and grown, tackled or loved the systems, made new friends, been exposed to different cultures, and come out of the melting pot as well rounded human beings who understand that everyone is different, life can be tough and not everything is always perfect. I think the trick is to understand that schooling, like life, is rarely always perfect, and doing the best for your children in the context of living full and rewarding lives yourselves is a challenge which presents schooling choices that need to be carefully weighed up. I enjoyed your article. I enjoyed reading about your own experiences, etc. and appreciate your honesty. I home schooled for many years. I home schooled my kids when they were younger. I loved the flexibility and convenience. I enjoyed teaching them how to read, etc. I enjoyed keeping my kids together for a few more years. My kids were confident around adults as well as their peers. Home schooling was a positive time for our family. Yes, I had my moments of feeling inadequate,etc. I would need my breaks. I home school till 6th or 7th grade then placed them in school. In the States we have many options for schooling. One I love is the charter school concept. It is 80% funded by the State. Not all States in America are on board with charter schools. It is approved in Colorado. Charter schools are typically run by concerned parents who see a hole in their kids education. We have a school called The Classical Academy. The school focuses on the classical curriculum. It is very academic. The kids wear uniforms and the classroom sizes are small. The kids are extremely motivated. There is a waiting list. Just a few thoughts on education. I know there are many countries who make home schooling illegal. Recently, a family from Germany had their 4 kids removed from their home for home schooling. You should read about the family. Nice reconnecting with you, Jo. If you have any other questions from my experiences I would love to share them with you. Thanks for your really helpful insights, Helen. 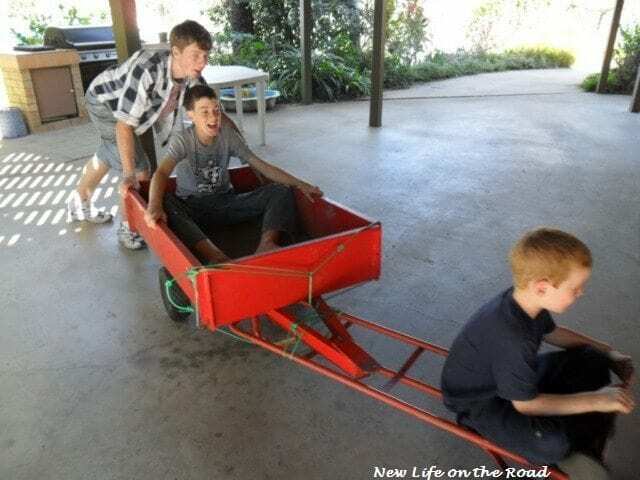 As I knew your children when they were smaller I can vouch for the benefits that ensued from your decision to keep them together in a home school situation, and always thought what an awesome job you were doing. Nice to reconnect with you too, Helen and thanks for popping by here. 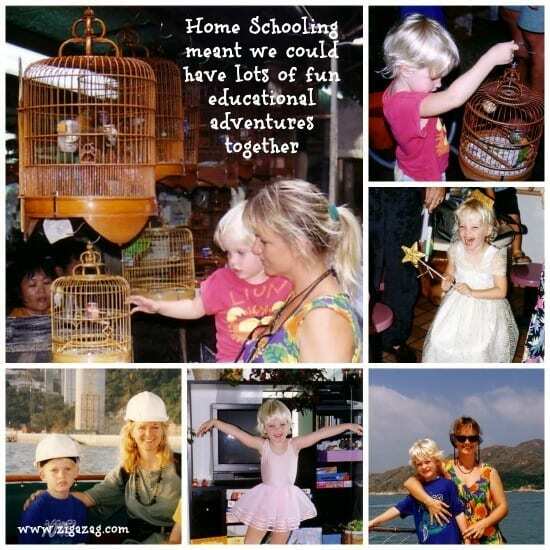 Thanks for sharing your experiences re home schooling Jo … I do admire people who choose to home school and I believe it takes real dedication, although I don’t know that I could do it. I think kids who are home schooled have a practical education and are culturally balanced. From what I have seen, too, I think home schooling encourages kids to pursue their particular interests and skills, which is a great thing, leading to rewarding careers and job satisfaction later on. I guess a down side could be that they perhaps have less socialising and interaction, having less problem solving skills and conflict resolution. I think you make some very balanced additions here, Ingrid and yes as in most aspects of life you have to weigh up the pros and cons for any major decisions that will impact the family and try to find ways to make the best of things. Home schooling is a fit for some and not others. Thanks for your comments. Here’s a little insight from a home-schooled kid. Firstly, I am an only child, and when my parents and I were living on a boat and sailing from port to port, my mother (who is an educator) would home-school me on the boat. Being an only child, and sailing from port to port, it became obvious that I needed some social interaction with kids my own age, so I was enrolled in a traditional school. I was always a very shy child and when I finished year 6, we changed school districts. The new school wanted to put me in the absolute bottom classes. As my politically incorrect father said, “with all the dummies.” My father, however, believed enough in me to know that I could do better. It is important to note that I did not believe this myself. So that summer, for one hour every morning, my father home-schooled me in maths. He found a maths textbook by Saxton and off we went. I hated it at first, until I had success. The end result was that I went from being put in the bottom maths class to the top. I even went on to study engineering at an Ivy League university in America. These three months of home-schooling was the biggest gift my father ever gave me. It wasn’t the gift of knowledge that I valued, it was the gift of confidence, of knowing that I could do something hard and succeed. Now that I am a parent myself, with my kids in a mainstream school, I watch very carefully. I believe that every parent home-schools, even if their child attends a school every day. Children learn the most from their parents and I see educating my children as a partnership with my children’s school. I think it is important to remember that every family is different and every child is different, but that we all want the best for our kids. Obviously, Alyson above is doing what she thinks is best for her kids, exposing them to different cultures and teaching them along the way. What exactly she found offensive in this post is beyond me, or maybe it was just a veiled attempt to get people to visit her blog. Lovely insight! Thank you for sharing. I absolutely agree that every parent home schools. As a former teacher, I wish all parents consciously realized it. There would be so fewer gaps teachers have to try to close, usually to little effect due to resources. 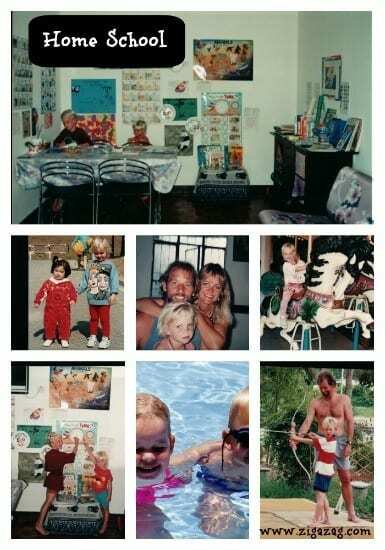 What a lovely story, Carol, and how wonderful that you can acknowledge how important that time with your father was, and what a big gift he gave you. I believe that self confidence is the foundation for nearly every success we have in life. I love your honesty and had a little giggle at the words of your ‘politically incorrect’ father, because obviously that was the jumping off point for him to take the situation in his own hands, and by doing a little every day your success in maths was his achievement too. How wonderful for a parent. I also agree with you that every parent home schools to a degree and it’s important to understand that schooling isn’t just something that takes place in a class room. Thanks for your fabulous insights. This post certainly provided me with some food for thought. I was raised in Canada, and my family moved around a lot. This meant that I was often attending new schools in different communities. This, combined with Canada’s bilingual status in some regions, meant that there were often significant and rather stressful adjustments to be made. I think I would have appreciated the opportunity to be home schooled which would have lessened the distractions resulting from trying to adapt. I applaud parents who take on this challenge. It does sound rather daunting no matter what the circumstances or motivations are! Your schooling situation sounds as if it was full of hurdles to be jumped, Wanda, which quite possibly has made you quite agile at adapting to different situations in life? I went to 7 different primary schools and 2 different high schools, and although never a great academic, moving schools taught me how to adapt or die! You’re right the challenge of home schooling is something that not everyone is in a situation to attempt, even if the child’s formal schooling is fraught with various problems. I really enjoyed your article, Jo. When we were travelling many years ago, I also became teacher and parent. As you say, it’s quite a different context to the situation where you make a conscious decision to home school. I related to your comments about broadening education to take it to the outside world. Of course, this is an easy thing to do when there are only two little bodies to consider. I found many opportunities for education in that wider sense of the word. Like you, too, I found that a specific time needed to be set aside for ‘school’. However, for those who have thought about travelling with children on an extended basis, I’d certainly recommend home schooling. Hi Denise, it was interesting to hear your thoughts about home educating and that you could relate also to our decision that they should go into a mainstream situation – which they were also happy to. Like you, I agree, home schooling certainly comes to the fore when parents are crossing continents or on the road for extended periods of time. I’m surprised at some of the feedback on this article. I saw this as an enjoyable read of someone’s experience with home schooling rather than an intense insight into this area of education. As a home schooled guy my parents decided on this course of education for a number of reasons – several that you have listed above. Travelling and home schooling is a very common and I think provides the children with a great cultural overview. Home schooling gave my siblings and I many positive opportunities and is something I would recommend to parents – providing they followed the correct procedures in registering the child and maintaining a certain structured criteria of learning mixed with practical and social opportunities. Thanks for joining the conversation Denise and it was interesting to hear about your reasons for home schooling, and also to hear that, like me, you were happy for your children to return to formal education afterwards – given that it wasn’t a conscious decision to home school, but rather something the situation demanded. Like you say though, the opportunities home schooling combined with travel affords to broaden a child’s education is a definite positive, and it’s something I’m so glad we were able to offer our children too. Due to the changes in curriculum in the US, many parents here are finding themselves in need of a different option and considering homeschooling for the first time. Whereas before, sending our children to public education seemed like a very good choice, many of us are in stark disagreement with a unprecedented shift in our education system. Your article gives me hope and encouragement that homeschooling can not only be a good choice, but an excellent one. I will be sharing it with parents that I know are in the same situation as I am, so that they may be encouraged too. God Bless. Hi Mary, I’m very encouraged to hear that you found the post helpful, and that you think it might be of benefit to other parents you know in the same situation. Thanks for taking the time to comment and also giving us a snapshot of what’s going on in the US schooling system too.